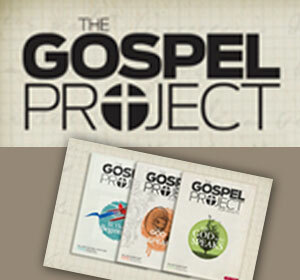 Leadership essentials…discipleship essentials. What’s the relationship? You can lead and never actually make disciples. But, you can never make disciples and not lead. The question was so honest, so raw. 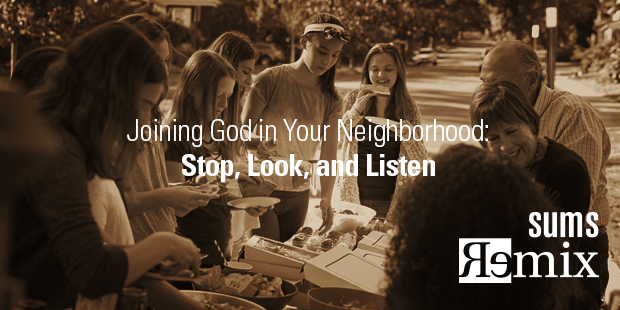 A teenager, learning to listen, to build conversations, to be curious…all in an effort to be an everyday missionary every day. His excitement over what he was learning quickly turned to a regret. Why didn’t someone teach him this earlier? 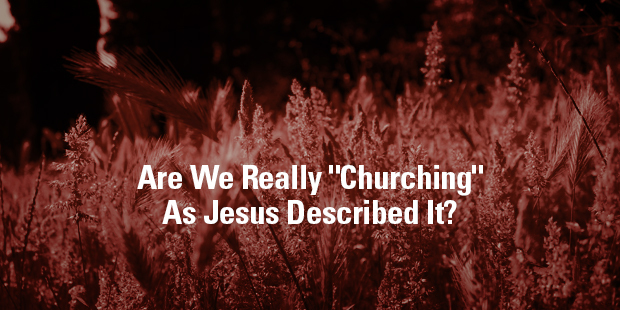 With all the focus on leadership in the church we have not been gaining Kingdom ground. 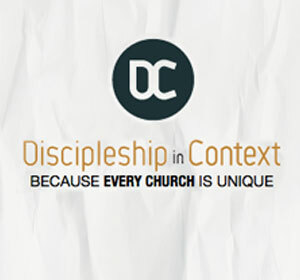 We don’t have a leadership void in the church today, we have a discipleship void. The issues facing the church in America will not be settled by more advanced leadership training, or better run organizations, but by a dynamic movement of the Spirit as more and more people follow Jesus. How will we get there? 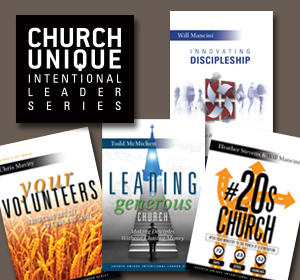 As an emerging leader you can receive advanced leadership training in the church and not actually make disciples. 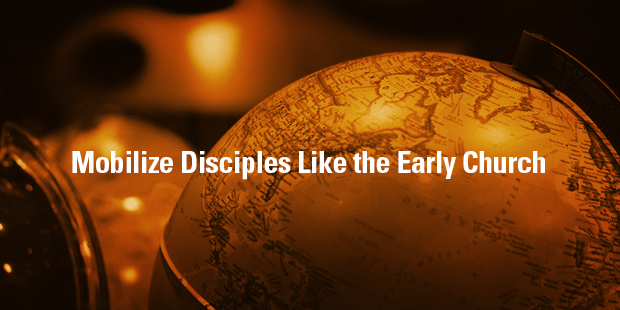 But, you can’t make disciples and not be growing in your advanced leadership skills. I think we may have missed the point. Jesus never called us to leadership. He called us to follow Him. The promise? “I will make you fishers of men.” Mark 1:17 And, as you fish for men, others will follow. That’s leadership. We don’t strive to learn leadership skills and build our leadership acumen so that we can run a “tighter ship” or more efficient organization. We grow as leaders so that we can make disciples. We invest time and energy into our craft as leaders so that we might join in the movement of God and see more and more people move from darkness to light to the glory of God and the benefit of the world. How do you follow Jesus in this changing climate, and what are you learning from Him? Are you following through on what God is asking of you and allowing someone to hold you accountable? Who are you inviting to follow you as you follow Jesus? With whom are you “dwelling” so that they can see how you follow Jesus? Have you boiled down what you want replicated to the simplest, most basic form? 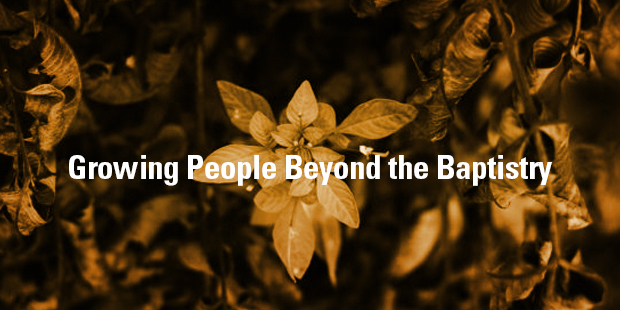 Do you have apprentices at every level of participation in your ministry? 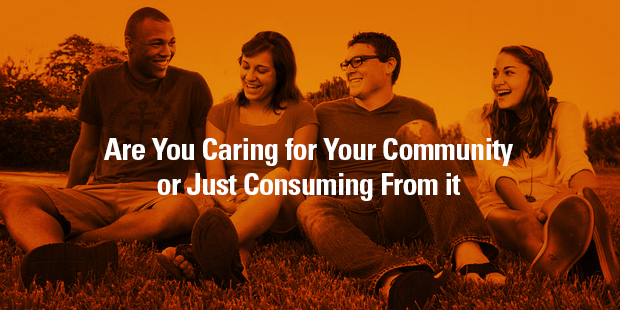 Are you controlling or freely sending others? Are you giving mandates and directive measures to those you lead, or are you helping them discover and own their own calling? Can you answer with clarity the 5 core questions of visionary leadership for your missional context? 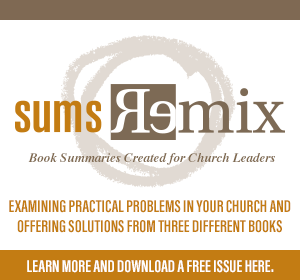 What are you doing every day to integrate those answers into the fabric of your ministry? 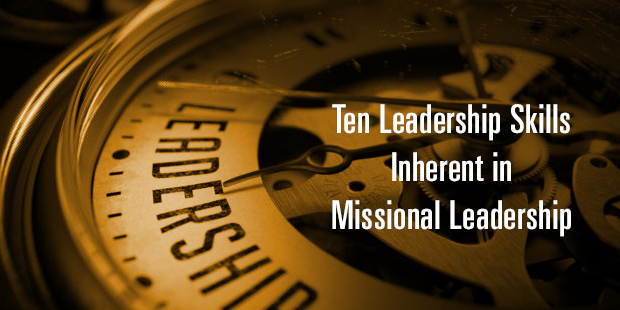 What missional leadership essentials would you add to the list? > Read more from Jeff. 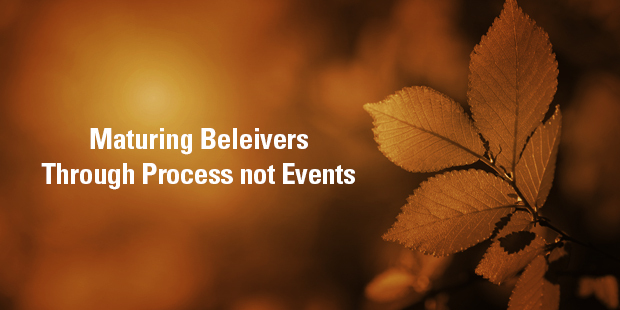 Learn more about cultivating a leader-soaked ministry. Great article. Thanks. Love this emphasis. Many thanks Jeff. The American church must rediscover her roots in relational discipleship driven by her leaders. I intend to use your set of questions with our supported missionaries challenging each of them to go deeper and wider as disciples who make disciples. I appreciate you stoking my fire. We never had the problem of stale chips and crackers when I was a kid. But that’s because I grew up in a part of the country where there was humidity about 3 days out of the year. But here in middle Tennessee, it’s a different story. These days of summer are not just hot – they are thick. It can feel sometimes like walking around in a bowl of soup with a wool sweater wrapped around your face. And the chips and crackers in the house are one of the casualties. You know that feeling? Of biting into something that’s supposed to satisfyingly crunch, and instead coming away with a mouthful of gummy mush? 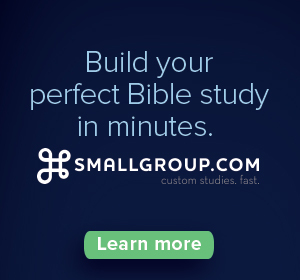 Here’s another question – does faith ever feel like that? It certainly does to me. In an ideal world, our faith should have some edge to it. Some emotion. Some excitement. Some vital tingling that comes from knowing we have been rescued from the gravest danger imaginable with the best news possible. And to know that we live in perpetual safety because the grip of the Savior who holds us is mighty, mighty strong. But there are days… even seasons… when what should be so joy-producing just seems stale. Soft. Punchy. 1. God’s affection for me has not grown stale. One of my favorite gospel images comes in Jesus’ story of two prodigal sons. While the older son stayed at home under the guise of faithful service to the father, the younger son sought adventure and satisfaction elsewhere. Taking his inheritance early, the younger son abandoned the family and went to life his best life now in the far country. Eventually he came to awakening of everything he had sacrificed and began the long journey home. And when he finally gets within eyesight of his childhood home, his father meets him on the road, and that’s when we get the image. The Bible says the Father, literally, “fell upon the neck” of the son. Despite his arrogance, despite his abandonment, despite his stale heart, the father’s affection had not grown cold. He still burned with love for his boy. What an image. And here we find ourselves. True enough, perhaps we haven’t exactly spent time in the far country. We may have actually been more like the older son, going through the motions of service all the while feeling less and less joy and more and more bitterness. But the affection of the father for both his sons is near palpable. What an amazing thing to know – not just feel, but know – that God’s affection for you is rooted in the sure foundation of the gospel, not how much emotion you can gin up for Him. So when you feel your faith growing stale, stoke the fire a bit with the confidence that God is still ready to fall upon your neck. 2. Beware the lure of substitute joy. The human heart is made to seek joy. We are crafted for enjoyment. But in our sin, we have sought that joy and fulfillment in false sources. As the prophet said, “For my people have committed a double evil: They have abandoned me, the fountain of living water, and dug cisterns for themselves—cracked cisterns that cannot hold water” (Jer. 2:13). 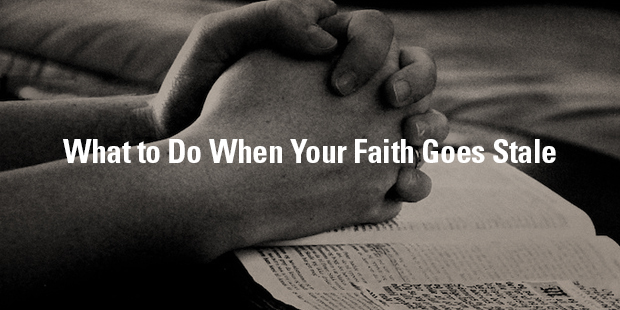 When we feel our faith growing stale, we often wish it was different. We long for the seasons when the feelings were stronger and the joy seemed greater. But we should also be aware – these days of staleness are precisely the moments when the lure of sin will be great. 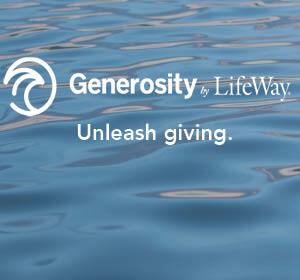 Thirsty for joy, we will look to broken cisterns instead of to the fountain of living water. Speak it to your soul, Christian, and urge yourself to be on your guard because sin will find a foothold. 3. It will not always be this way. And then there’s this. This wonderful news. 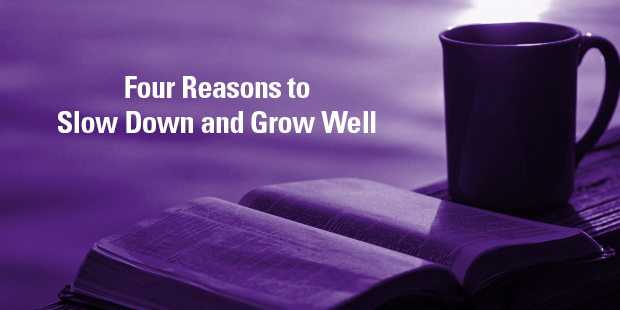 When our faith seems to grow stale, we can remind ourselves that it will not always be this way. “Then I saw a new heaven and a new earth; for the first heaven and the first earth had passed away, and the sea was no more. I also saw the holy city, the new Jerusalem, coming down out of heaven from God, prepared like a bride adorned for her husband. Then I heard a loud voice from the throne: Look, God’s dwelling is with humanity, and he will live with them. They will be his peoples, and God himself will be with them and will be their God” (Rev. 21:1-3). This is the new day. When all things are made new. And “all things” include our elusive emotional lives. In the present day, we are fickle and rebellious. We know the right we should do, and we know the right we should feel. But we don’t. Far too often, we don’t feel as we should. But our glorification in Christ will include the setting in proper order of our emotions. We will value what is truly valuable. We will be satisfied by what is truly satisfying. We will feel what we ought to have been feeling all along. And this is good news. A stale faith, if you recognize the error in it, is an opportunity to long for heaven when it’s not going to be this way any more. So don’t give up, friend. Don’t give up if it feels a bit stale. Trust in what you know to be true – and in whom you know to be the source of truth, and keep going.